Chris and I have done a LOT of DIY renovations over the years. Chris, specifically, in my opinion is the DIY home improvement KING. We spent ten years renovating our last home (which turned out to be a huge mistake, but let’s not focus on that right now). In that time, we have picked up a whole bunch of tips for making the renovating process easier. DIY home improvement is hard work. It’s not for the faint-of-heart, and it can test your relationship almost as much as your handyman/woman skills! However, done well, it’s also extremely rewarding. It’s also a cheap alternative when you’re trying to renovate on a budget. In our ten years of renovations and remodels, we learned a LOT. Some approaches worked well, others fell flat. 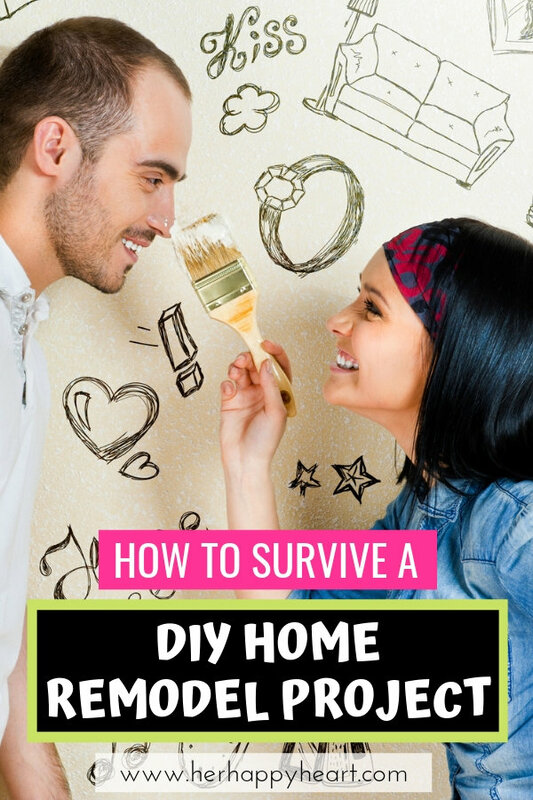 If you’re about to embark on a DIY renovation project of your own, check out my tips first. They should save you a lot of hassle! It’s easy to get caught up in the impeccable styling and big ideas on Pinterest. But it’s not always practical to take on such a huge DIY renovation project. Be realistic with your renovating ideas vs your budget and your ability to pull them off… And remember not to fall into the trap of over-capitalising (ie spending more on your renovations than you will get as a return when you sell your home). And do it before you start anything. You do not want to be planning on the fly! It can be painful working out every nitty gritty little detail. I still hyperventilate when I remember the hours and multiple trips spent at Ikea when we were planning our kitchen renovation. But in the end it was worth it because I adored that kitchen every single day! Even years after its completion there wasn’t a single thing I would have changed about it. Oof, I miss that kitchen! DIY renovation costs can add up fast, so the last thing you want is a surprise that you haven’t accounted for. And by budgeting everything in, there’s no guilt in spending the money. Shopping day is always my favourite part of a DIY renovation. It’s so much fun for me to hit the shops with a goal and an allocated amount of money that we’ve actually planned to spend on it. If you have a handy friend, or a sibling willing to paint, or an in-law offering to baby-sit… it’s a no-brainer. You can use all the help you can get when it comes to renovating your home. Even if nobody has offered, it never hurts to ask. Just try to give people as much notice as possible so they’re more likely to be able to fit it into their schedule. Start reaching out to people as soon as you’ve picked your renovation start-date – not once you’re mid-project and just suddenly realising how useful an extra set of hands would be. Chris is super handy, and there was a lot he was able to do solo. This saved us a lot of money and gave him plenty of opportunities to flex his handy-man muscles. But there were always some things that a) were beyond his capabilities, b) would have taken him double the time compared to having a professional do it, or c) he legally couldn’t do himself. We outsourced all our plastering work for each ceiling that we replaced. After spending hours and hours trying to do it ourselves the first time, we realised that we were basically incapable of laying out that plastering tape and applying a smooth cover of plaster quickly before it dried, and without bubbles forming. We tried so hard for so long, and eventually realised it was such a waste of time. So we bit the bullet and hired a local plasterer. He smashed it out in a quarter of the time it would have taken us, joining those ceiling panels and putting up the cornices all in an afternoon. We never bothered trying to do our own plastering again! We also outsourced electrical work. Chris is not a qualified electrician and can’t legally do any electrical work, and though he could probably have figured some of it out, there was no way we were going to mess with that legal requirement. We kept everything above board. Other services we have outsourced are plumbing, gardening, door hanging and tiling. For most of those (not the plumbing! ), Chris had a go before making the call to outsource. 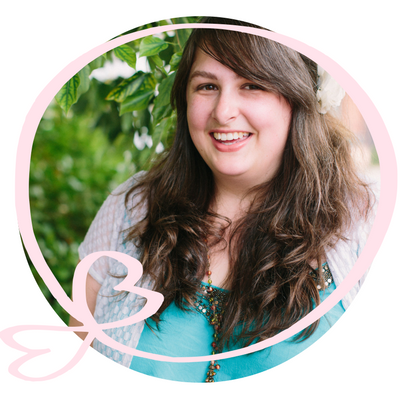 For us, the learning curve and the amount of time it would take us vs a professional meant that trying to DIY those particular things wasn’t really worth it. Chris still did a ton (A TON) of things himself. But he also knew when to change tact. Scheduling breaks when completing a DIY renovation isn’t just important – it’s completely necessary. 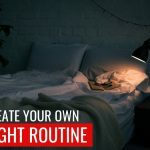 We failed pretty hard at this for years, and it always went the same way: we would lay out a renovation schedule (no breaks, just long days of endless work), we would stick to it for a few days, and then we would start burning out. So we started taking unscheduled breaks, and we started taking double the expected time to complete things because we were tired, and inevitably the schedule would blow out – a problem when Chris had taken a couple of weeks off work to get something done, and his leave would finish before the project had. Schedule in breaks. Get your rest in. Recuperate. You’ll look forward to those breaks, and you’ll work so much better when you’re not feeling totally drained. A DIY renovation is usually a full-time job, and you generally won’t have the time or energy to achieve much else. So unless you want to allocate a chunk of your precious renovation budget on take-out, you might want to plan ahead for your meals. Prepare and freeze a few meals in the weeks leading up to the renovation. Have lots of bread and eggs on hand (eggs on toast is such a classic renovators’ meal). When you do manage to cook, make it a meal with lots of left-overs that you can dig into in the coming days. You need to fuel your body well during a renovation. Generally, any renovation will cause a temporary inconvenience to your living situation. When we were renovating our kitchen, we couldn’t cook or wash dishes. When we were renovating our bedroom, we didn’t have a place to sleep or hang our clothes. And when we were working on our bathroom, we couldn’t take a shower. We even had a couple of short projects that took our one-and-only toilet out of action for a day here and there. 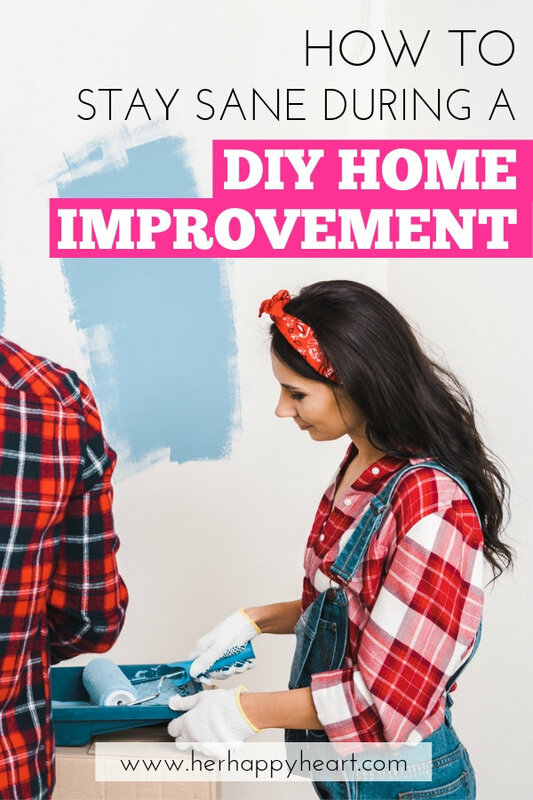 So before you get started on any DIY home improvement project, consider what problems the renovation is going to cause to your living situation. And come up with solutions. During our kitchen renovation, we cooked on the BBQ or microwaved food from the freezer, and we set up a trestle table with a crate, sitting under the old kitchen tap, to wash dishes. When we were renovating our bedroom, we set up a makeshift bedroom in a corner of our living room. During our bathroom renovation we took daily trips to my parents’ house 10 minutes away to scrub up at the end of each long day. And when the toilet was out of action, we got real friendly with our neighbours. And the local McDonalds. I can’t stress enough how important this is! We made the mistake a few times of saying “Well, the room is functional again and looks great – there’s just this one strip of skirting board/final coat of paint/un-mounted electrical outlet/faulty fitting/etc that we will deal with later.” Spoiler alert: we did NOT get to it later. I can’t tell you the number of 95%-finished renovation projects we left in that house. We then had to scramble and finally complete them when it was time to sell. Those little jobs that we figured we would easily finish on an un-appointed date in the future would have been so quick and simple to do when we already had the tools and paint colours out for them – but became a lot more fiddly and time consuming when we addressed them months (or years) later. But apparently this is a thing. People do this! They get super close to the finish line, then say “Cool, let’s finish it later” – and never do it. Don’t be like those people. Finish your projects! DIY home improvement can be super rewarding when done properly. You get to enjoy the fruits of your labour for years to come, knowing that you did the work with your own two hands (and an appropriate level of help/outsourcing!). And you will likely add value to your house. 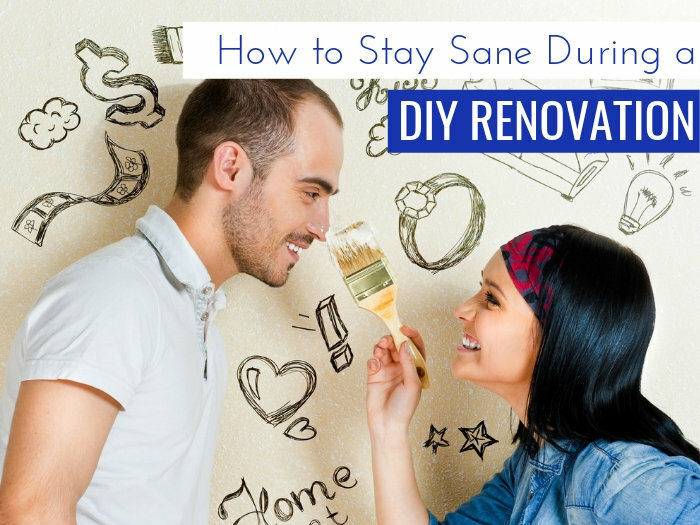 Once you start taking on your own renovation projects, you may find it difficult to stop! It can be very addictive seeing your home improving before your eyes. 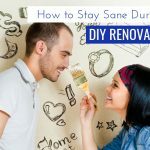 Just try to avoid over-renovating a home that you don’t plan on staying in for very long (unless you’re going completely gung-ho and flipping it). 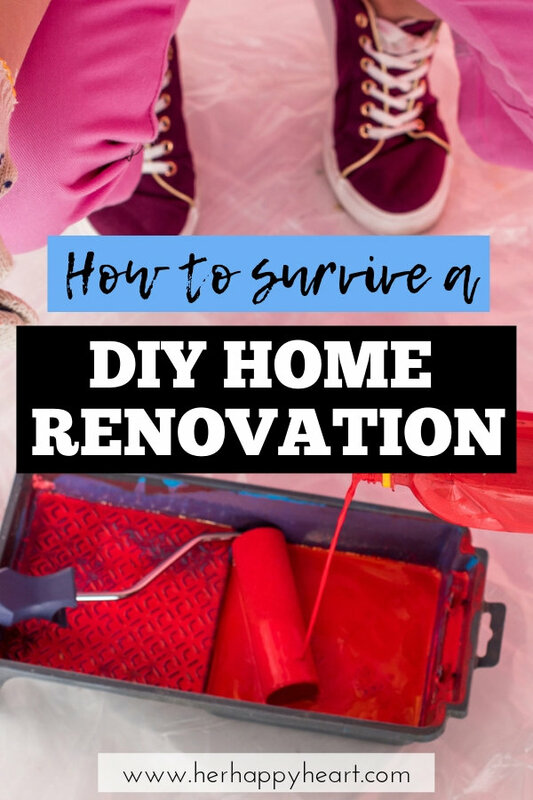 You don’t want to end up trying to sell a half-renovated home, because all the work and money you pour into those renovations won’t pay off if the bathroom is crappy or half the rooms in the house still have bowing ceilings and original carpets. But DIY renovations are good fun, and a great way to test and improve your handyman/woman skills. 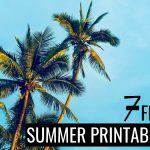 If you have the time and want to save a few bucks, I absolutely recommend doing it yourself. I hope these DIY home improvement tips have helped you with your next project!